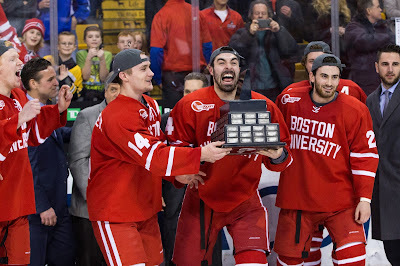 The Daily Free Press has published a letter from Captain Brandon Hickey to BU and the BU Hockey Community about "the best four years of my life." 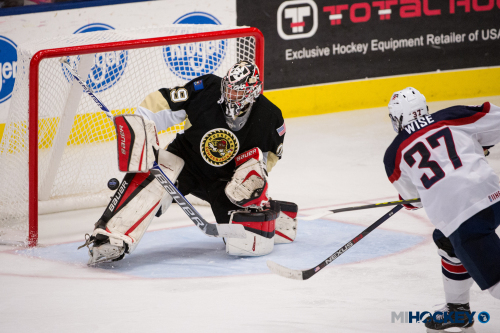 ►Farabee and Wise (photo), along with 2018 recruits Tyler Weiss and Jack DeBoer, have been named to the U.S. U18 National Team roster for the IIHF World U18 Championships in Magnitogorsk, Russia beginning April 19. 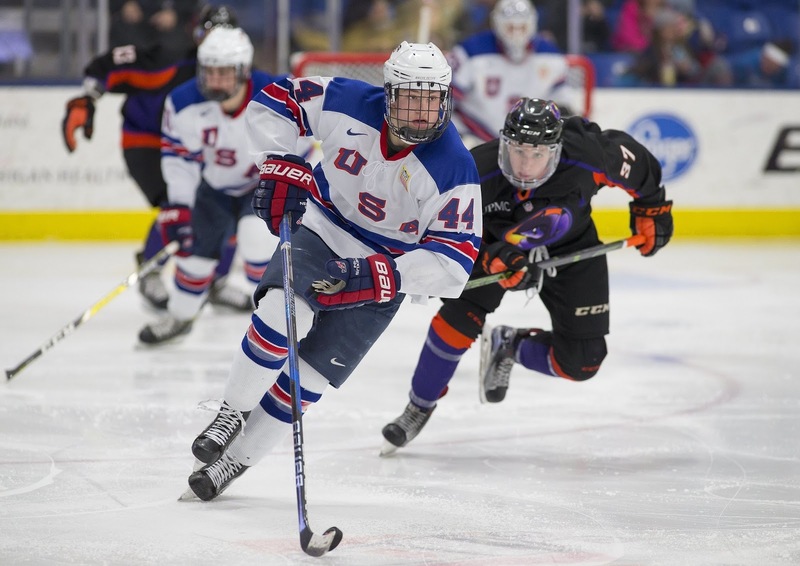 Farabee was called up to the U18s a year ago and helped Team USA win gold at the Worlds, scoring six points and two goals in the championship game. Peterson is a highly gifted player who has a special combination of speed, agility, and skill. He is 6'3" with an enviable frame, but has the lateral mobility of an undersized forward. It is remarkable to watch him weave through the neutral zone with power and masterful control of his edges. His first few strides are explosive and his top gear is effortless. Defenders instinctively retreat when he’s skating at them so as to not get burned wide or plowed over. There are not many forwards in the age group better at creating space for themselves. To make matters worse for opposing D, he has dazzling stick handling ability, which only seems to improve the faster he is moving. Combine that with his natural length, and you have an attacker who can essentially do what he pleases while in possession of the puck. Sebrango is a complete player who does everything you want from a defenceman. He excels at turning defence into offense. He disrupts oncoming attackers as early as he can, yielding very few controlled zone entries down his side of the ice. More often than not, attackers will dump the puck behind him, giving Sebrango a chance to showcase his smooth pivoting and puck retrieval skills to get to the puck first and start the breakout. His passes are firm and hit players in stride, which facilitates clean breakouts. 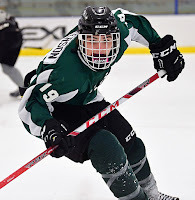 He assesses his options very well and more often than not picks out the teammate in the best position to transition the puck up ice. 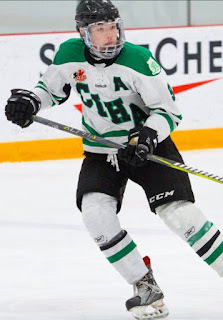 Sebrango is also the league's top defenceman when it comes to the stretch pass. His puck distribution prowess is not limited to facilitating breakouts, though. He also shows great vision in the offensive zone, finding seams and hitting open teammates in dangerous areas. This skill makes him an effective powerplay quarterback. Alex Chiasson scored his ninth goal on a breakaway in Washington’s 4-2 win against St. Louis. 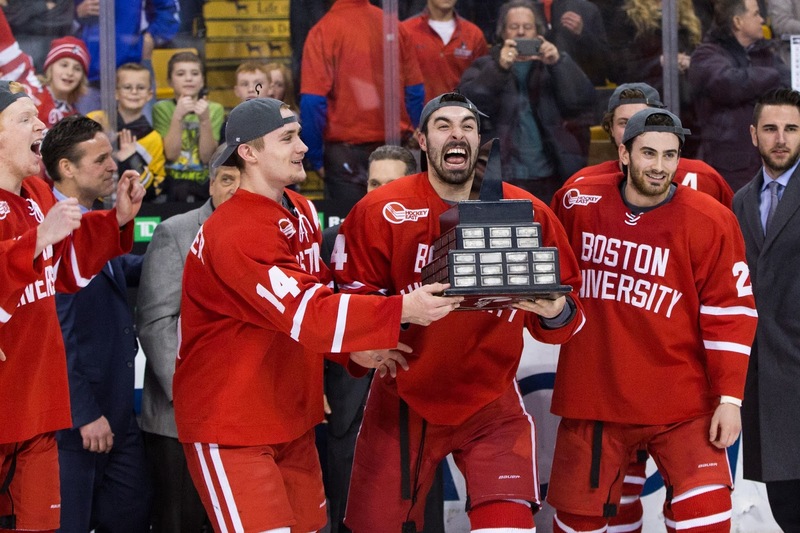 WCHS-TV/Maine interviewed former BU captain and NHLer Doug Friedman who recently was named head coach of the new USPHL Twin City Thunder franchise.